The woman peeked at him from under her eyelashes but didn’t move. Mrs Dixon clicked her tongue. “Now, Barry. She can’t be served until you and Robbie have been…” She didn’t need to spell it out. White people were served before Aborigines in Walgaree, no matter what. Robbie knows that Aborginal people are treated differently than white people in Walgaree, but he also knows that this is how it has always been. It;s nothis problem though – he has enough problems of his own. His home life, with a loveless grandmother and a grumpy Dad, is difficult. And his friends are drifting away from him. When he meets Barry, the owner of the local caravan park, he has some chance at happiness. He spends his summer working for Barry, and their friendship grows. As the summer progresses, it becomes harder and harder for Robbie to ignore the divide between the white citizens and the Aborgines who live in camps outside the town, especially as he gets to know Micky, who has also been employed by Barry. In the meantime, student protestors are preparing to travel trough country towns to protest the treatment of Aborgines, in a Freedom Ride. As they get nearer to Walgaree, tensions rise in the town, and Robbie has to choose his own stance. Freedom Ride is a wonderful historical novel set in a fictional town but based on real events. Few young Australians will know the tale of the Freedom Rides, but Sue Lawson brings them to life here in a way that will both interest and inform. Robbie’s personal story, as he struggles with an overbearing grandmother, a brooding, distant father, and the msytery of his mother’s death, is also absorbing. An outsanding young adult read. In her bedroom, Rose poured cold water from the flowered jug into the bowl and washed her hands and face, shivering at how icy it was. She used the hand towel to clean her boots, and brushed her dark, unruly hair. There. Surely Mother wouldn’t scold her on her birthday? 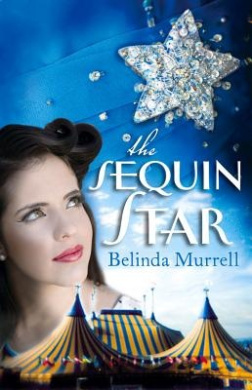 It is 1900 and Rose is growing up in a wealthy Melbourne household. Life should be easy, but Rose’s mother expects her to always act like a young lady – which means no cricket, no adventurers, and no school. But Rose desperately wants all of those things. When her favourite Aunt Alice comes to stay, Rose is happy – but Mother isn’t. She thinks Aunt Alice is a bad influence. Meet Rose is the first of four stories about Rose which form part of the Our Australian Girl series. 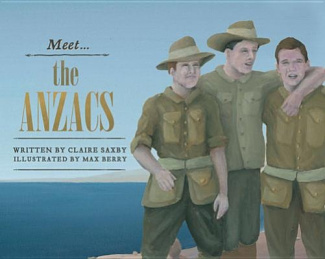 The series comprises four sets of four books, each exploring the story of one girl from a different period of Australian history. Rose differs a little from the other three girls because she comes from a more privileged background, yet, just like the other girls, she faces struggles and challenges as she tries to find her place in the world. Meet Rose will appeal to middle and upper primary aged readers. Vinnie didn’t want to be in this place, not with hundreds of miserable kids crowding around him. Everywhere he looked they were sobbing and carrying on as if their hearts would break. Their mums, too, were upset, and who could blame them: It wasn’t every day a mother had to say goodbye to her children, then send them away on a train to wherever. Vinnie’s life has been tough for a long time. Even before World War II. He never knew his father and his mother struggled to survive then died when he was eleven years old. Then there was only Aunt Vera. Aunt Vera who burnt his clothes and made him wear too-big green velvet trousers and night-shirts. They fought continually until finally she threatened to send him to an orphanage and he ran away. He finds kindness and work and even a piano teacher in a local pub for a short while. When London is bombed, he too is evacuated to the country with thousands of other children. The villagers, adult and children, are not all welcoming of the ‘vaccies’, and life in the country has its challenges. But Vinnie and the other ‘vaccies’ look after one another and he develops strong friendships. He also continues and extends his recently-discovered love of music. It’s hard to imagine being sent away from your family for an unknown duration to places where you may be unwelcome. Add suspicion, shortages, blackouts and the threat of being bombed, and life would have been very tough for children evacuated from London during the Blitz. For main character Vinnie, it’s a continuation of an uncertain life, where he has to prove himself to everyone. He’s strongwilled but hardworking, rough around the edges but honest. And not everyone around him is evil or mean. ‘Vinnie’s War’ portrays a difficult time in England when tough decisions were made. Villagers were often suspicious of the ‘vaccies’ and some were less than kind. But there were good people too. Themes include family, making your own luck, honesty and opportunity. Vinnie is a gutsy character and will have the reader hoping that he gets the lucky break he so deserves. Recommended for upper primary readers.